In a large bowl, combine the avocado, tomatoes, cilantro, lemon or lime juice. Season with salt and pepper. Spoon 1 tsp. of the mixture onto each wonton wrapper. Brush with the eggwash to seal. Crimp to close. 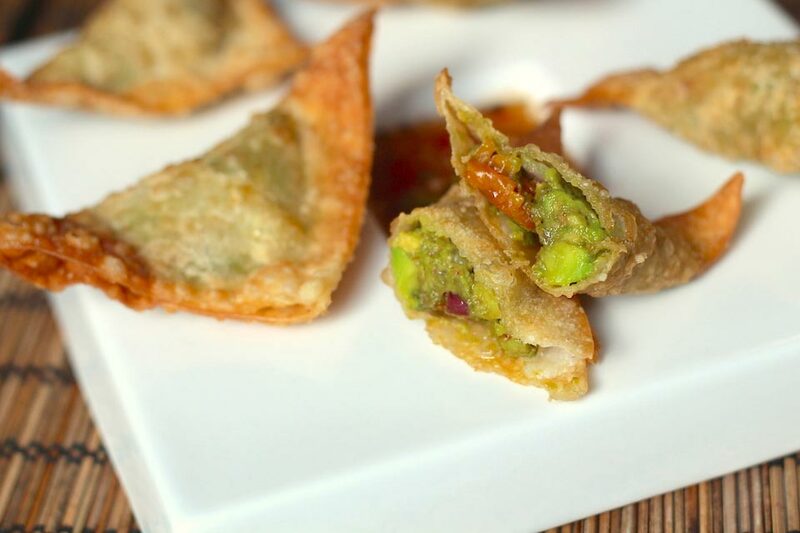 Fry the wontons until browned on both sides. Transfer to a paper towel to absorb the excess oil.